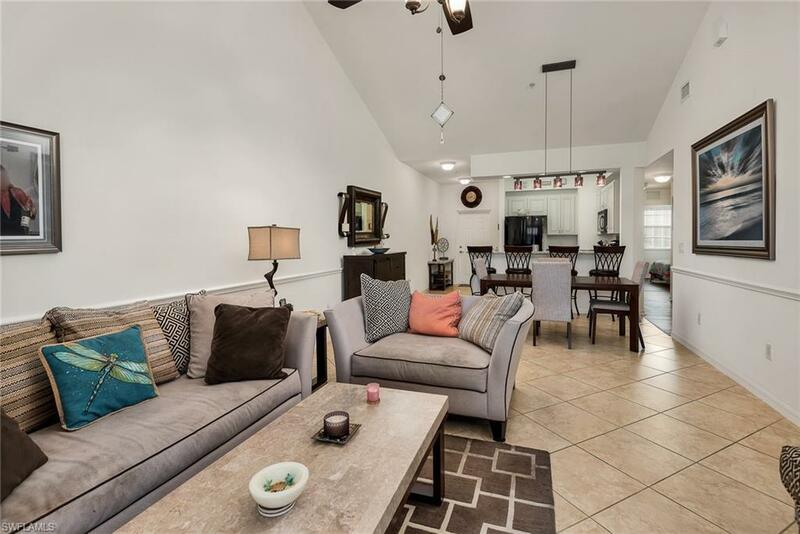 Beautifully updated 3BR/2 bath/1 car garage (1,273 sq ft) condo with vaulted ceiling and large lanai overlooking the lake with 2 water fountains which add to the ambiance of the outdoor setting. Current owner has upgraded the kitchen with new cabinets, granite counter top and recessed lighting over the breakfast bar and a new refrigerator. Also, new is the plank wood flooring in the hallway and 3 BR's and a new light fixture in the dining room. The master bath has dual sinks, shower, walk-in closet and a linen closet. 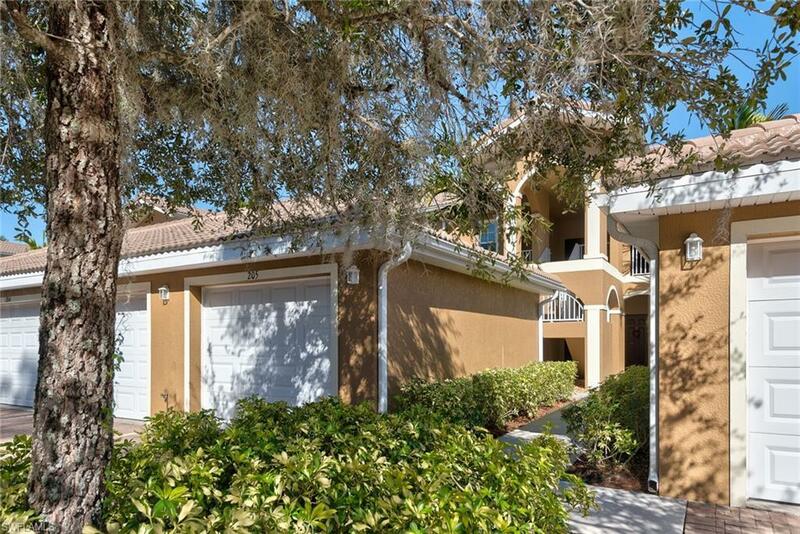 Master BR is a nice size and has a slider door to the lanai area. 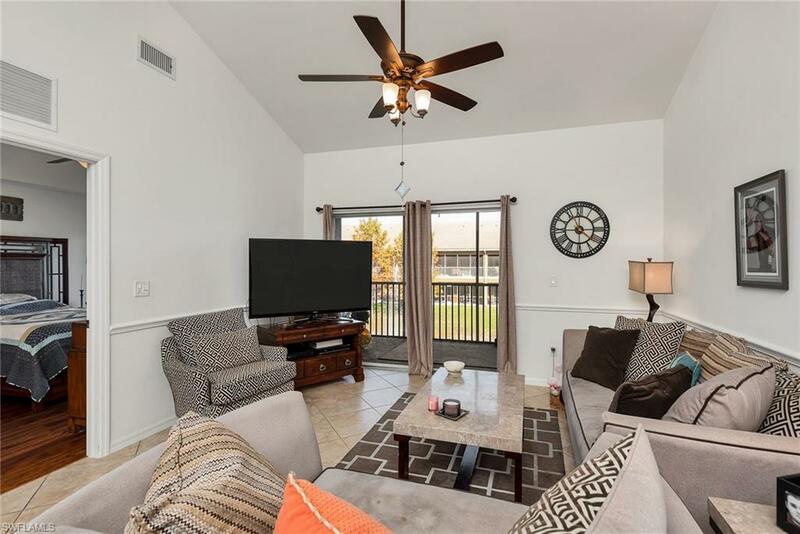 This condo is priced right and the fees are reasonable and besides the community amenities, also included are basic cable, water/sewer, Interior & exterior pest control, waste removal, lawn/land maintenance, reserves for building upkeep and road maintenance and more. 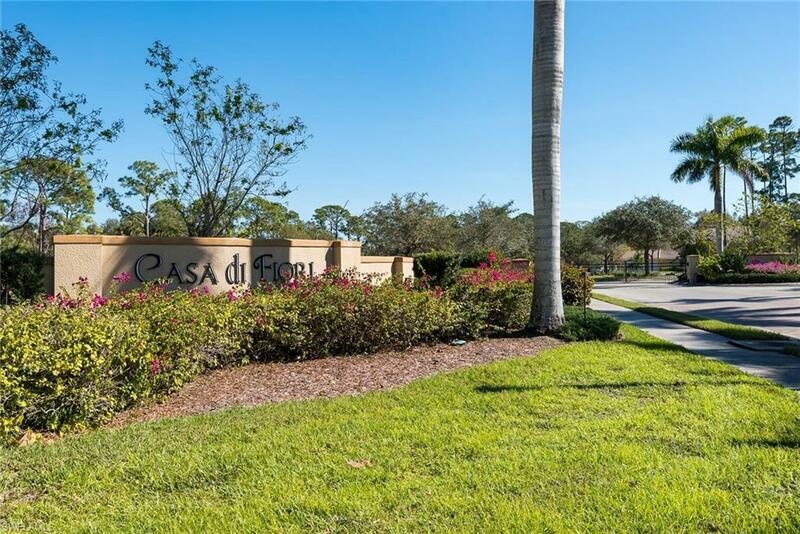 Additionally, Casa Di Fiori is a gated community and offers fitness center, resort style pool with lap lane and spa, tennis, bocce ball, playground, firepit/patio area, and picnic areas with gas grills. Finally a great location in Cape Coral's hot spot off of Pine Island Rd corridor with shopping, restaurants just minutes away. Listing courtesy of Cathy Canelli of Century 21 Sunbelt Rlty #1 Inc.